A tweetstorm occurred today between Paul Thurrott and Mary-Jo Foley about The Verge’s report of Battery Life of the new Dell XPS 13. It was half of 11hrs quoted by Dell according to The Verge, and of course Mary-Jo was disappointed. What followed was a storm of comments with everyone saying their piece about the subject. But you can’t help but realize the topic of Battery Life is so esoteric, even in this current age in which every battery units of laptops comes with chips in them with which we can accurately measure how much juice is available, and expectant lifetime of such battery. The question is “What is Battery Life”? Answer is no two person, given the same device, will be able to answer you with definitive scientific accuracy what the battery life of their device is. This is because it varies from person to person with all things being equal. Battery Life is a reflection of your personality; how you use the device. Therefore I need to pen a few conditions that affect battery life of a product for clarity. When a reviewer receives a test unit, they are mostly not tested under the typical condition that a user will use such a device. A reviewer want to get his story out as soon as possible, therefore subjects such a device to certain standard test procedure, and exactly these test procedures could be detrimental to performance of such a product at the time. Like running a video-playback loop back to back with the screen adjusted to a certain brightness level. This is not the way a typical user uses the same device, therefore a perceived Battery Life for an End-User will be different from the reviewer. Carmen Crincolli said it right in the tweetstorm, there should be no Battery Life Test without the mention of the Methodology used in measuring the test. For example, what are the running processes on the device during the test? What is the average CPU cycle of such processes. These are the things that affects battery life. If you’re running a video-loop test, but Chrome is opened in the background with 20-tabs open, you will not get much battery life. New Device State: Not many are aware of this, but when you’ve just install a vanilla OS, there are certain configuration and maintenance activities going on in the device that will impact performance. Indexing: This depends on how extensive you document and Media Library is. In these days of OneDrive access to an OS, a vanilla device will spend a great deal of time indexing the whole machine; including syncing and indexing gigs of your OneDrive data. If you run perf test in this period, you will not get a true picture. Updates: Don’t we all know it, when you first install an OS (hello Windows), there is a lot of resource used in downloading and installing updates. Think of Disk trashing and high CPU cycles. All these affect battery life. In fact you can only be sure of a stable environment after the first two days of a vanilla install, sometimes even more. Correct Drivers: Another point of contention not always visible to common users. Mostly by the time you get a bleeding new product, time has elapsed between the time it went into production and the time you get it in your hand. Therefore, it is almost always a good practice to visit the site of the OEM to download the latest and greatest drivers for all components of your device. This have performance and ergo, battery life consequences. Running Processes: This is where everyone will differ as there are no two people running the same processes on their device at the same time. So the question is what are the running process at the time of the measurement? What impact are they having on the Environment? Carmen mentioned Google Chrome in the tweetstorm. Yes, Chrome is a serious resource hog because Google is knowingly doing some funky things to your device to make Chrome run faster than any other apps. Things like adjusting the Clock tick rate to run at highest rate which is bad for the battery in particular and the device in general. Chrome seems faster because it is gaming the system at the expense of battery life. All these have consequences on environment. Therefore there is no point for any reviewer to mention Battery Life without being scientific about it. We need to know the condition under which you did the measurement. There is a simple tool that is delivered by Microsoft with it’s modern OS called PowerCfg.exe. 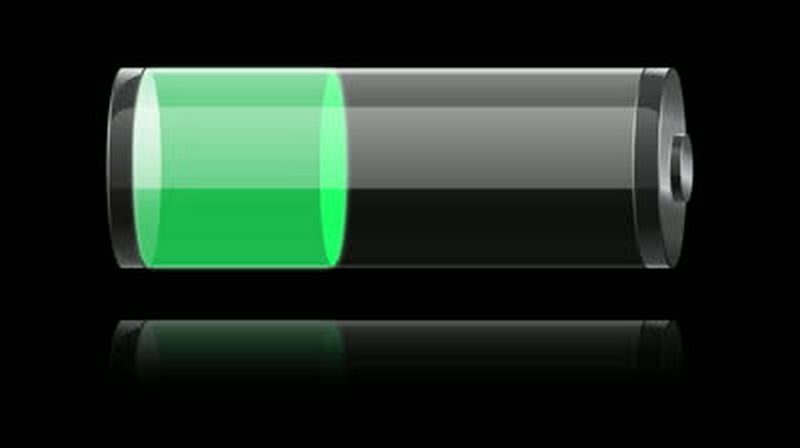 There is a switch of this tool that will tell at any given moment what is eating up your battery life. The Reviewers can at least run this test in the background and publish the result so we have a comparative case. Battery Life is and will remain a mirage. I will never depend on a Reviewer’s report who used such a device in a day or two and come out with a “Conclusive” report. I will rather go to User Forums where real people using the product are quoting their experience. That is my yardstick, it should be yours too.